The amount of digitized cultural heritage in Europe is impressive and has a great potential of impact on the society, by making the cultural heritage more accessible for the citizens, students, researchers and by generating benefits to the content owners. Even if already amounting to several tens of millions of digital items, only a tiny percentage of European cultural heritage is digitized, and nowadays more and more attention is paid to those collections, hitherto unknown or not fully acknowledged, that are preserved in those European States that relatively recently joined the Union. Furthermore, certain kinds of cultural heritage, such as early photography, are not preserved by memory institutions but are in the hands of private citizens, who should be invited to share their holdings with the whole community. For these reasons it is necessary that digitization activities go ahead in the coming years, and acquire a more participative approach: smaller archives, private collectors, individuals should have the possibility to access digitization facilities and to get support, training and services. Once these data are in digital format, the next challenge is how to ensure their long-term preservation. In order to do that, memory institutions have to make conformance tests before ingesting the files in their archives, to verify that they have been produced according to the specifications of a standard file format, and hence that they match the acceptance criteria for long-term preservation established by the memory institution. Further, digital cultural data need then to be re-used at best, to unlock their business potential in terms of fostering economic growth. The creative industry is certainly the key stakeholder to leverage on the digital cultural data for creating new tools and services to be placed in the real market, thus generating new employment and economic rewards; but, to achieve this goal, a bigger dialogue should be fostered with the cultural institutions, in the light of developing public-private partnerships for the benefit of both. Next to this, it is also important to assess the sociological impact of digital cultural heritage and technologies: how do they participate in the community building processes and social cohesion of the “new” European society, that is living a moment of great change? How can digital cultural heritage help the cultural institutions to renew and re-invent their role in the society? How can cultural heritage become closer to its audiences of innovators, skilled makers, curators, artists, economic actors? Finally, how can the EU citizens, alone or as part of a community, play a vital co-creative role and how can citizens participate in the research on cultural heritage and digital humanities? The panel “From digitization to preservation, creative re-use of digital cultural content, and citizen participation“, which will take place on October 1st at 2:30 pm, will offer an overview of initiatives and EU projects that try to provide answers: Europeana Space, RICHES, Civic Epistemologies, PREFORMA and Photoconsortium. Relevant speakers, from the key institutions in Europe which are involved in the scenario of digital cultural heritage, will foster a debate to understand the path towards a more advanced society, that makes use of the full potential of digital technologies to foster cultural and societal progress. The panel is also an unmissable occasion for sharing knowledge and best practices: cultural managers, ICT experts, researchers, service providers and other EU projects are warmly invited to attend, for cross-dissemination and networking. 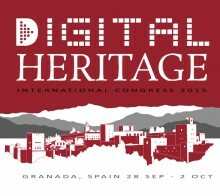 For further information about Digital Heritage 2015 visit the Conference website. E-Space, RICHES, Civic Epistemologies, PREFORMA and Photoconsortium met in a panel at DH 2015 to discuss how to establish the path towards a more advanced society, that makes use of the full potential of digital technologies to foster cultural and societal progress. On 1st October 2015, in Granada, an unmissable event was being held, organised by Promoter SRL. 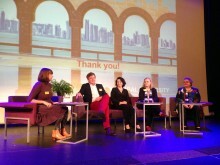 The initiative, hosted by the Digital Heritage 2015 conference, is a discussion panel involving EU projects RICHES, Civic Epistemologies, E-Space, PREFORMA and the international association Photoconsortium. Hosted by the National Library of Estonia, the PREFORMA International Conference "Shaping our future memory standards" brought together 150 people worldwide to discuss the importance of standardisation and file format validation for the long term preservation of digital cultural content, discover the potential of the open source conformance checkers developed in PREFORMA and look at future challenges and opportunities.